Alexandr Hackenschmied directs the landmark of Czechoslovak avant-garde cinema and one of the most influential of its genre. One of the key aspects of the Czechoslovak cinema, especially during the 1960s New Wave, was the adoption of surreal, experimental and even avant-garde elements in films that belonged to quite different genres. It is generally considered that the origins of that culture are based on literature. The lesser known early silent Czech experimental cinema, which has been influenced by the avant-garde movements, should also be mentioned as an important impact too. Alexandr Hackenschmied is without any doubt the founder of the experimental cinema in Czechoslovakia. Born in Austria, the director worked till 1939 in Czechoslovakia and then he emigrated to the United States where he changed his name to Alexander Hammid. 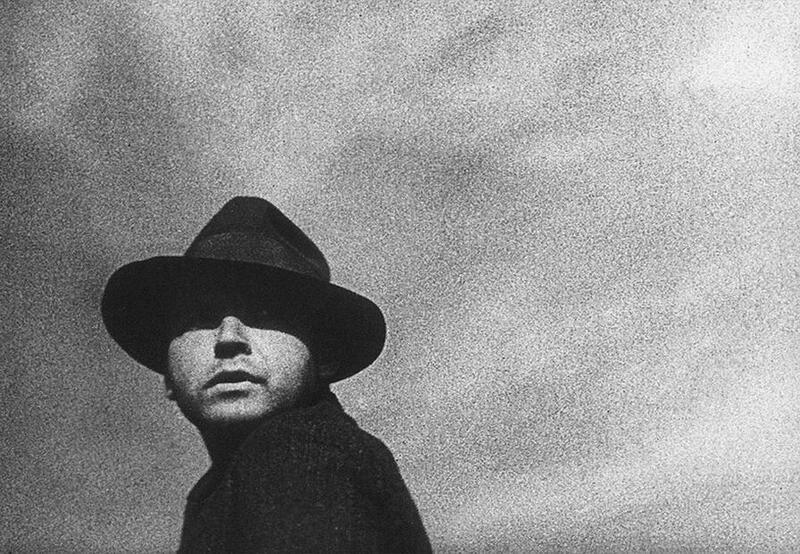 His most acclaimed work is Meshes of the Afternoon (1943), one of the masterpieces of American avant-garde, which co-directed with his wife Maya Deren. 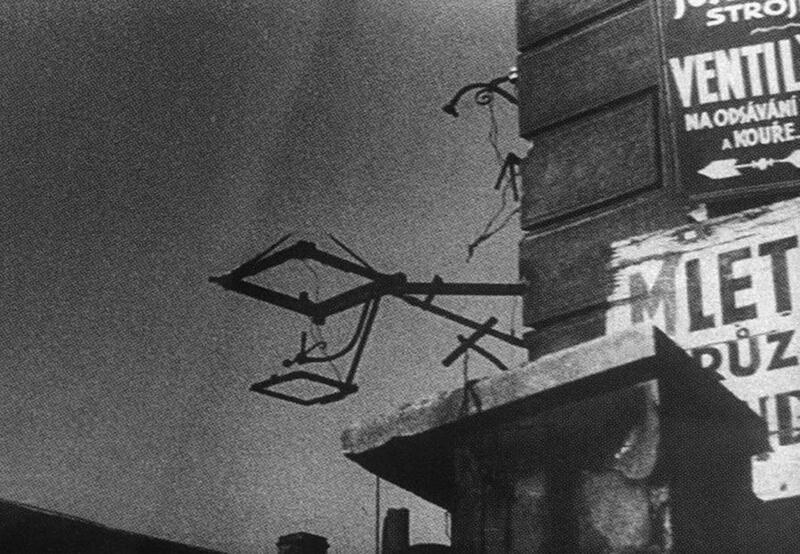 Hackenschmied’s debut film Aimless Walk (Bezúčelná Procházka, 1930) is the landmark of Czechoslovak avant-garde cinema and one of the most influential of its genre. The film follows an unidentified man who walks around Prague. Initially he is going through the city on a tram as he is observing the buildings around him. Everything that he is watching is always juxtaposed with shots of the reflections of the river Vltava. Later, when he sits by the river the reflections will become even more intense especially as he is focusing on the construction of a large building as well as on the people around him. His aimless walk will end with a dreamlike sequence of self-reflective secession. Aimless Walk is a film that works on three different but closely interrelated perspectives and the viewer follows the story from these paths. There are scenes where the protagonist is clearly present on the screen, then there are the shots where we see through his eyes and finally there are the reflections of the river and, by the end, of the hero himself. What is seemingly a start as an almost typical documentary is turning into experimentalism in order to slowly evolve into an abstract dream sequence. So the barriers seem so fragile between what is real and what fantasy is. Through that technique, the viewer, like the hero, has a dual existence on the film since he is also becoming the protagonist as he can watch everything through his point of view This dual hypostasis is quite fascinating and dominating in the film. As Hackenschmied said, his main concept idea is to separate a human into two and his effort to direct on the verge of this equilibrium is quite obvious. Furthermore as his direction is evolving, the initial apparent view on which is the accurately clear perspective is gradually becoming quite perplexing so by the end it turns to be really hard to distinguish each different point of view. This struggling conflict will inevitably lead to the separation by the end of the film and proves that this duality was truly congestive from the beginning. When hero’s oneself wants to stop the walking then his other self should leave him behind in order to continue another relentless and aimless walk around Prague. The theme of splitting and separating the protagonist has always been a key element in the work of Hackenschmied as a film director and as a still photographer too. For the connoisseurs, it is more than clear that this dreamlike mirroring duality of the hero has also been the main concept behind his later Meshes of the Afternoon. In both films the heroes are trying to be present in two different worlds and never leave one each other despite their differences. In both films the director is also trying to compare and even balance an objective almost documentaristic point of view with an extremely personal subjective perspective. Hackenschmied surpasses the logical boundaries by trying to replace reality with imagination or even better to create a pure imaginative and unrealistic world based exclusively on realism. 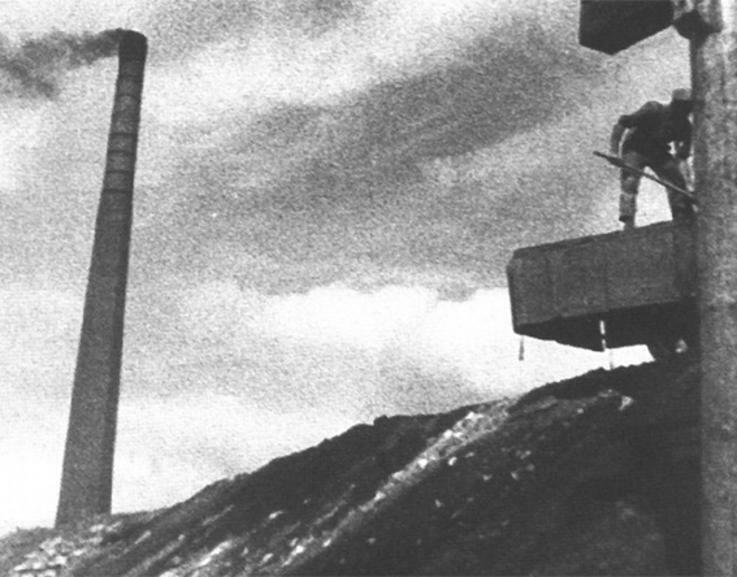 His technique of splitting realities and images bears some striking similarities with the work by Dziga Vertov especially in the field of fast montage which is quite prominent in Aimless Walk too. Although, according to his biographer Jaroslav Anděl, his main influence was the work of the French flâneur and photographer Eugène Atget, something that could also be demonstrated in Hackenschmied’s photographic work too. Alexandr Hackenschmied was an impressive pioneer of the avant-garde and one of the most significant contributors of independent cinema. 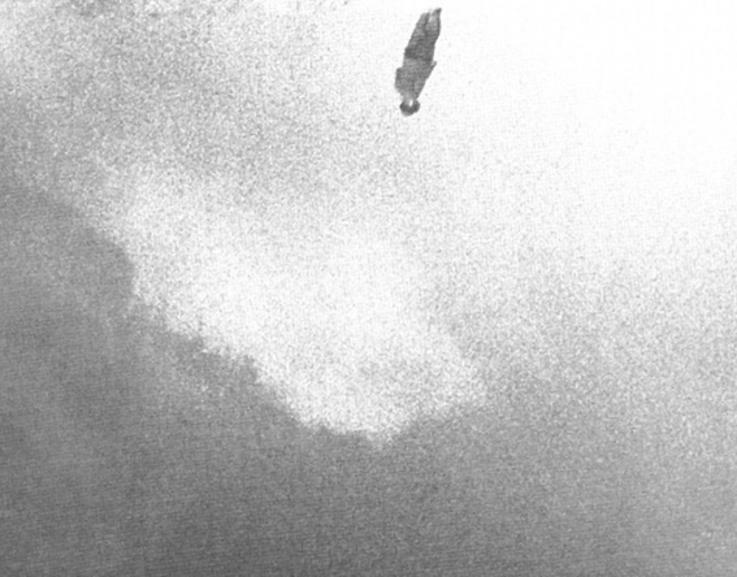 Aimless Walk had encapsulated entirely his vision both on the technical and thematic level and still remains one of the lesser known gems of the experimental genre. Mexico's most troubled political period is blended with traces of poetry and Carlos Reygadas' essence, when betrayal surpasses love in Joshua Gil's debut feature film. With his directorial debut, Yorgos Zois breaks the fourth wall as he is experimenting on how myth and art interrupt actual life. Or is it the other way around? The debut feature film by Natalya Kudryashova is a story of broken heroes with destroyed expectations that try to survive in a hostile and unidealistic present. A heroic act during the Yugoslav war haunts the lives of the heroes. Concentric circles of fate can bring atonement. Directed by Srdan Golubović. Films teach you how to live, how to make a bed. Senza questi elementi, fame, morte, malattia e miseria noi non potremmo far ridere in Italia. But the cinephile is… a neurotic!